The 6255-W is a security SureShot PIR motion sensor from GE Security that has been designed with a Fresnel lens, a white colored finish, and can be mounted on corners, ceilings or walls. 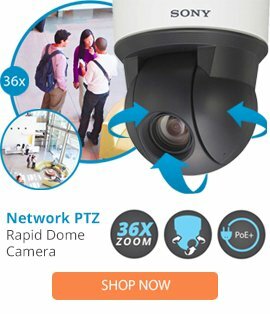 The 6255-W security motion sensor comes with a 40’ x 30’ wide angle capture zone, a UL listing, plus a 360 degrees ceiling capture zone, a 7 to 16 VDC power, and a closed loop type. This quality grade motion sensor is also suitable for capture zones such as vertical barrier, single spot, and pet alley locations.